 RSNA Image Share Goes Live - ONRAD, Inc.
DiagnosticImaging | RSNA Image Share, the network designed to help patients take control of their medical images and reports, has enrolled its first patients, Radiological Society of North America officials said. The project was launched in 2009 through a $4.7 million contract with the National Institute of Biomedical Imaging and Bioengineering (NIBIB) to build a secure, patient-centric medical imaging sharing network based on common open-standards architecture that would enable patients to control access to their imaging data without relying on CDs. RSNA is overseeing development of the Internet-based network for sharing images and reports at five pilot institutions. Mount Sinai is the first to begin accepting patients. The Mayo Clinic in Rochester, Minn.; University of California San Francisco; University of Chicago Medical Center; and University of Maryland Medical Center in Baltimore will begin enrolling patients soon, according to the RSNA. Participating sites will also educate patients on establishing PHR accounts with selected providers that will enable patients to retrieve, view, archive, and share medical images, reports, and other medical documents, creating a detailed medical history accessible through any secure Internet connection. To ensure patient privacy, patients are given an eight-digit code and then create a password or PIN known only to them. Patients follow a series of steps to retrieve their reports and images. Patients can select those they would like to share with their healthcare team. A 72-hour delay in patient access gives the physician time to see new imaging results first. Project investigators say they plan to develop a way to directly transfer of images for immediate accessibility for use in such cases as when patient are transferred to a trauma center. RSNA Image Share is part of Integrating the Healthcare Enterprise (IHE), an initiative among medical leaders, software developers, medical societies, and vendors to improve communication among healthcare equipment, systems, and software. An IHE Image Sharing Demonstration featuring systems and vendors used in the network will take place at the RSNA 97th Scientific Assembly and Annual Meeting in Chicago starting Nov. 27.